Occasionally, just occasionally you come across a product or concept that sounds so perfect, so “right” that you wonder why you have never heard about it before. Then human nature kicks in and you persuade yourself that it’s not that good or you go out to prove it’s failed in some other way! 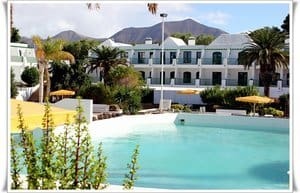 I must admit that when I first heard of SunParkLiving on Lanzarote I thought it sounded too good to be true. However, I had known the founder and his family for a great many years. I knew what professionals they were and I decided to jump on a plane and find out what it was all about for myself. The first pleasant surprise was the cost and choice of flights. The charming and functional Arrecife airport serves over 60 destinations including over 20 in the UK and Ireland. With many of the Low Cost Carriers using it, I had a great choice of flights at budget prices. All good so far! I arrived at the resort late in the evening and it was not until I woke to brilliant sunshine and a panoramic view that I started to realise what a very special environment SunPark really is. By now, I was getting to the real heart of the concept. People are offered a relaxed, safe, secure environment in a magnificent location where everybody is treated and respected as equals. In short, a unique concept! I started to reel off a list of what Sun Park is not but Gil stopped me. “Forget it. Think what we ARE and not what we are NOT. This is unique.” I had to agree with him. Sun Park IS unique and I can see that they have a runaway success on their hands. I can also see quite clearly that it is NOT for everybody. Some would prefer maid-service every morning. Here, I am my own maid. Some would prefer all-inclusive 24/7. Here there are dozens of cafés, bars, restaurants within a few minutes’ walk or you can do what most Sun Rockers do. They cater for themselves and regard this community as their home and not a 14 night hotel break. 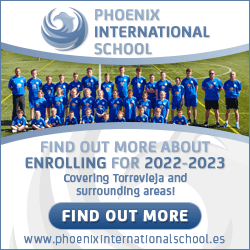 To them building up a friendship with a Sun Rocker who is teaching them chess or playing petanca with their neighbours is exactly what they are looking for. Some look forward to the Yoga classes that they have organised for themselves whilst others improve their swimming in the lovely pool. I thanked them for their time and went for a wander through the beautiful grounds as Gil and Patricia met new arrivals who had been for a month in January and were returning for another six or more months. Everybody greeted each other with genuine affection, as long lost friends. At that moment, I realised that SunPark was special, very special. 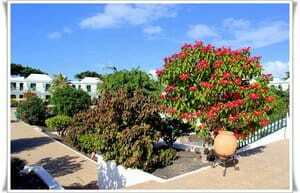 Yes, SunPark IS unique and I would encourage you to visit Lanzarote to see whether it is for you. Currently, they offer a one-week “trial” which they prefer to call a “Getting to know each other” for just 199 euros. There is no commitment to stay longer or return but I think you will realise that if you ONLY want a holiday then there are other options. If you want to consider Active Living, then it most definitely is a very attractive opportunity. Please visit their excellent website and take the time to watch the videos from real SunRockers who explain what SunPark means to them. Once you have seen these videos and you want to know more contact Gil and Patricia. Who knows, I might see you here! I look forward to that!